HTC has revealed plans to launch a white version of the Sensation handset, which will also bring Android Ice Cream Sandwich along for the ride. 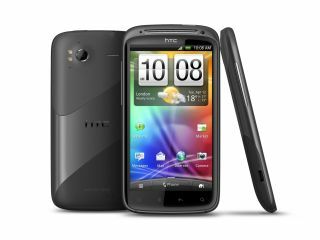 The Ice White version of the device will launch on March 1, while adding Android 4.0 into the mix makes it the first in the HTC Sensation series to pack the latest version of Google's mobile OS. The newly-painted Sensation could also be the first device to boast HTC's refined Sense 4.0 UI, although that's yet to be confirmed. A dutch press release also states that devices its counterparts the Sensation XE, Sensation XL will also be getting an Android 4.0 update "soon." Cutting down on the clutter? The announcement comes just weeks after it admitted it would be focusing on a smaller array of Hero devices in 2012 in an attempt to reduce consumer confusion. So now we have the original HTC Sensation, the new HTC Sensation in Ice White, the HTC Sensation XE which has Beats Audio tech and the HTC Sensation XL which has a 4.7-inch screen. We feel less confused already, sort of.